Biography: Reach Out Missions is a visible link to leaders where Marianne uses her training and experience to encourage and help leadership to understand God's plans and purposes to reach the unreached people groups. Marianne tells us "My passion is to come alongside field workers (missionaries) and encourage them in their work for the Lord. Field workers often find themselves in remote and isolated places, geographically and emotionally. They give themselves to the work of the Lord and at times have very little or maybe even no support." Marianne has found that many times the need cannot be measured in any monetary value, but is a shoulder to cry on, a listening ear or even someone to share the joys and laughter. She feels it is a privilege to serve the Body of Christ as a Barnabas (son of encouragement). 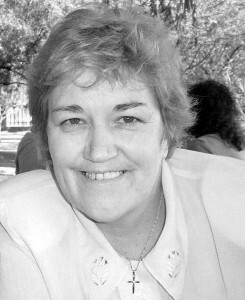 Marianne is involved with a local church named Gemeente Sonder Grense or Congregation Without Borders just west of Johannesburg, South Africa. Strengths: Marianne's heart is for reaching the lost. She has patience and persistence that helps her mission. She esteems relationships highly and desires to see God's labourers strengthened in their call.